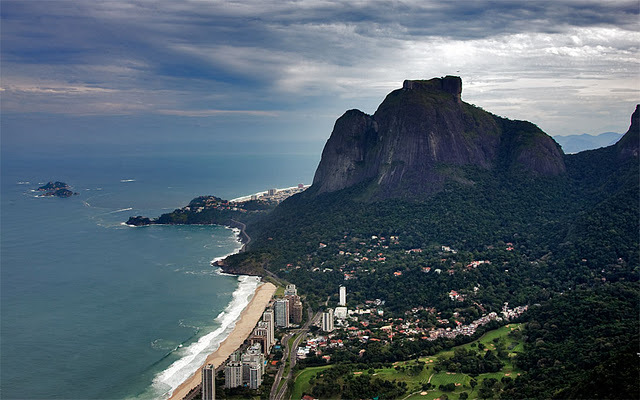 There are a few major sights that cannot be missed in the mountains surrounding Rio. Corcovado, with Christ the Redeemer standing on the peak has one of the most amazing views of the city and harbor. The fun of Sugar Loaf is taking the trams to the top. Sunset is especially spectacular from this mountain. Tijuca Peak in Tijuca National Park looks out over the beaches with awesome views of Maracana Stadium, Sugar Loaf and the Favela of Rocinha. One of the most beautiful views of the city is the one from Gávea Stone (aka Pedra Bonita - Beautiful Rock). The stone is located between the district of Barra da Tijuca and São Conrado and is one of the most imposing of the city. 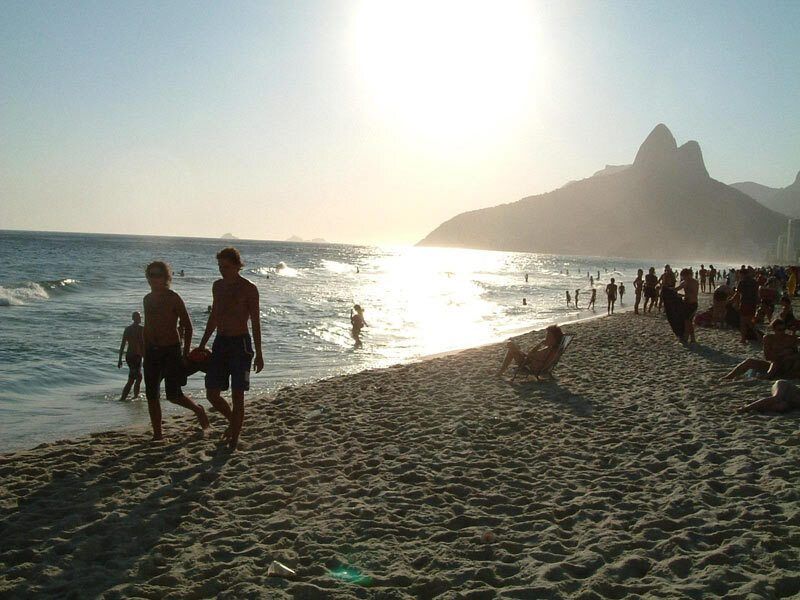 The Sun-Kissed BeachesWith over 10 beaches surrounding the city, Rio has some of the most famous ones in the world. 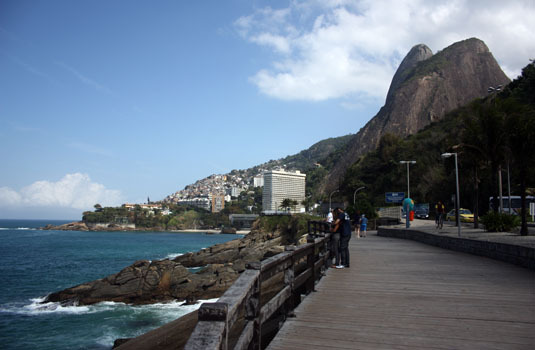 Copacabana Beach and Ipanema Beach have both gained notoriety in song. Most of the beaches have soft white sand and the waves range from small and calm to torrid and majestic, perfect for the surfers. The beaches are also home to many entrepreneurs. Vendors sell everything from caipirinhas to sun glasses. Whether you wish to ride the waves or soak up the sun, there is a beach that is perfect for you. There are incredible shops all over town. Feel free to bargain with the street vendors and to bargain in shops and malls you'll have to pay in cash, you can usually get a 5-10% discount. From indigenous handicrafts, jewelry, porcelain and clothing to CDs, gadgets and books, you will find everything here. Your best deals will be on Brazilian made items, especially clothing. 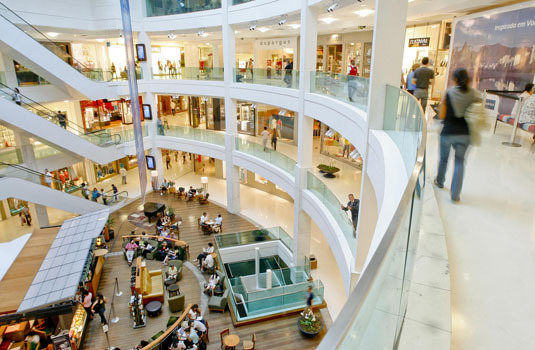 There are shopping malls throughout the city. The least expensive malls are in the north and the more exclusive malls can be found in the west and south. There is a delightful flea market, The Hippie Fair, in Ipanema, at General Osorio Square, on Sundays that is always good for a bargain. There are bars, nightclubs and restaurants all over Rio. To enjoy live samba music the Lapa district is very popular as is Zona Sul. In Lapa, along with best samba clubs of the city there is also street partying. There, from Friday to Sunday after 10 pm, three blocks of the street are closed to pedestrians. Leblon, Barra da Tijuca and Ipanema have some of the best nightclubs. Pop, dance, electronic and trance are the most common forms of music played in these clubs. The less expensive underground clubs can be found in Zona Sul. The crowds are usually more colorful and less pretentious.Day or night there is always something to do in Rio de Janeiro. Even on a budget, the attractions, the beach, shopping and nightclubs are all quite affordable.